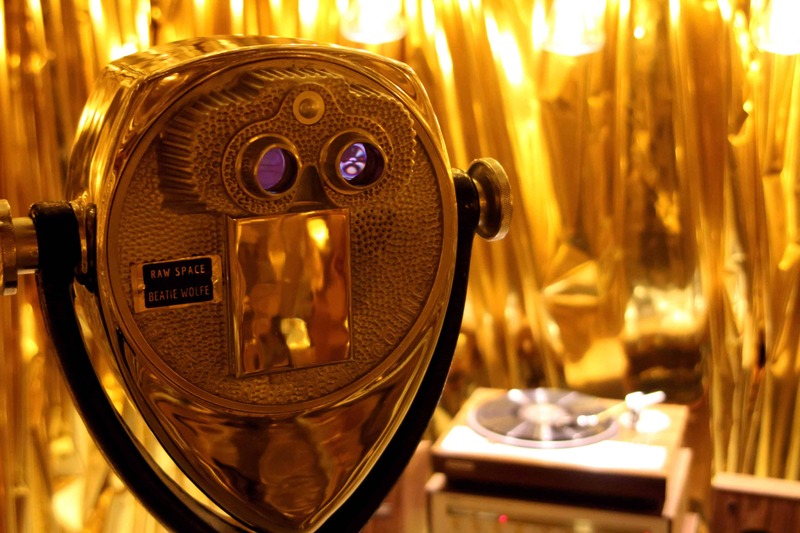 London has again been transformed with an inspiring programme of visceral exhibitions, unique landmark projects, breathtaking installations and sensory events. 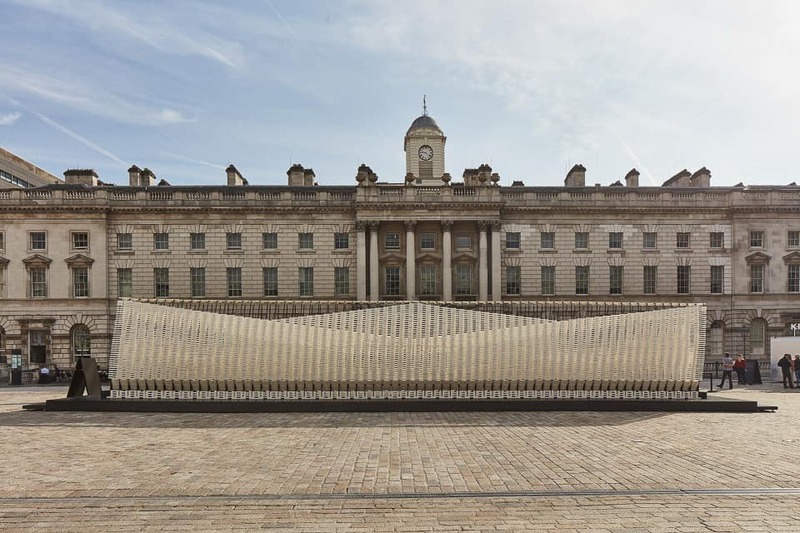 Thanks to the 16th London Design Festival and 2nd London Design Biennale, the capital of the UK continues to be widely regarded as the design capital of the world. This month, the coolest thinkers, practitioners, retailers and educators from around the globe went out of their studios and into the city to deliver an unmissable celebration of design that spans dozens of locations. From a multi-level wooden maze to a roaring lion in Trafalgar Square, Contemporary Lynx has shortlisted 9 compelling events that push back the boundaries of design, art, science, and technology. Explore the extraordinary and inject contemporary design straight into your veins! 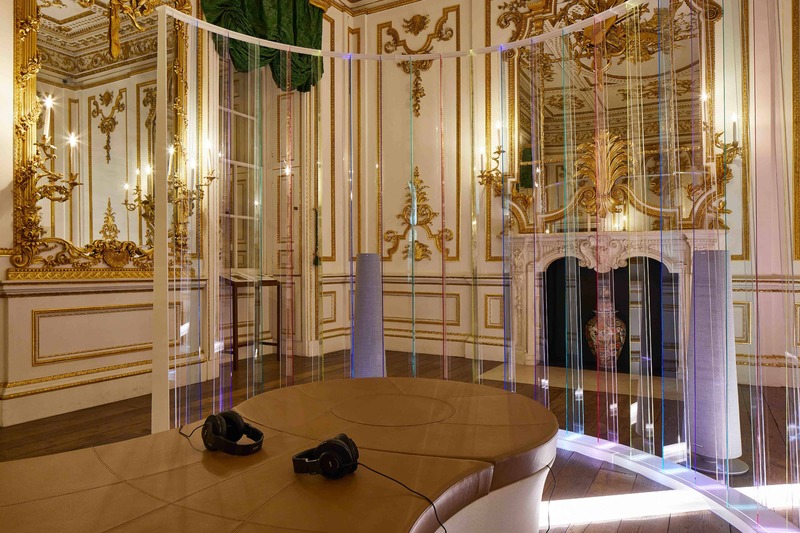 A highlight of the global design calendar, London Design Biennale presents engaging and interactive installations by some of the world’s most exciting and ambitious designers, innovators and curators. In response to Emotional States, this year’s theme, participants from six continents reveal how design influences our emotions. The works on display allow for immersive experiences that illustrate how design can challenge, delight, educate and surprise. Installations explore the full spectrum of emotions – Anger, Contempt, Disgust, Fear, Happiness, Sadness, and Surprise – as classified by Charles Darwin, in his 1872 work, The Expression of the Emotions in Man and Animal. The Biennale presents an exciting laboratory of ideas that investigate the meaningful relationship between design, strong emotional responses and real social needs. Feeling playful? 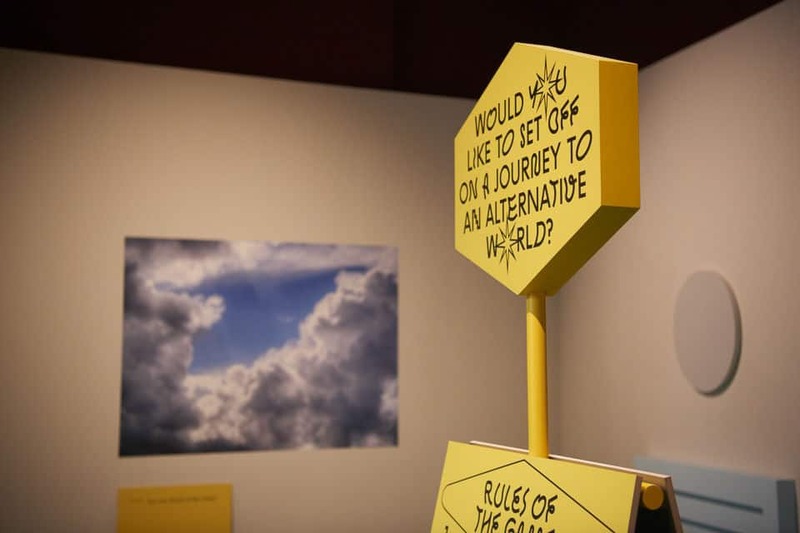 One of the Biennale’s exhibits is Cadavre Exquis: an Anatomy of Utopia, a spatial game inviting visitors to arrive at their own utopia or dystopia by answering a series of tricky questions. The installation questions how the 21st century creates spaces for new utopias reflecting on the crises and failures of modernist social, political, and urban projects from the previous century. Borrowing from the form of the surrealist word association game, the exquisite corpse, the Polish team — designer Maria Jeglinska and art historian and critic Klara Czerniewska invite audiences to act as a co-creator of a proposed narrative. What are the most pressing issues in the world today? The need for affordable housing and the urgency to fight climate change would definitely be on the list. 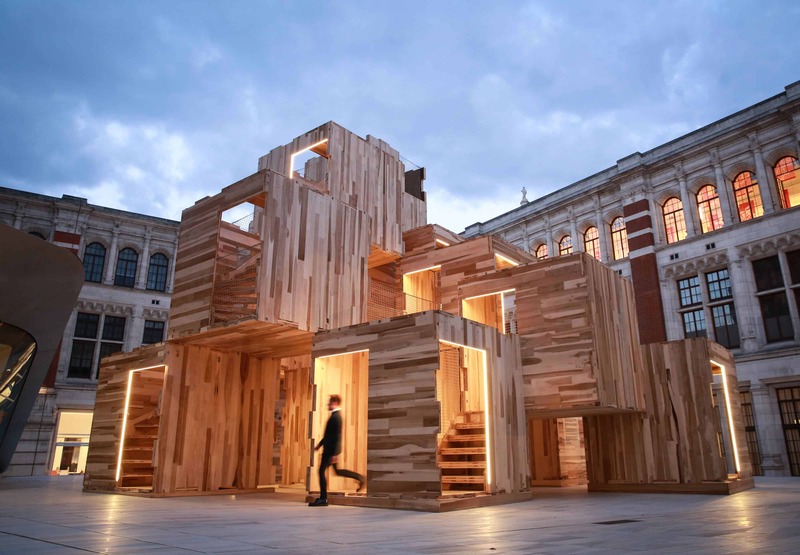 To address these challenging issues in a meaningful and engaging way Waugh Thistleton Architects and Arup have collaborated with the American Hardwood Export Council and created MultiPly, an interactive modular maze-like installation at the Victoria & Albert Museum. The installation presents the fusion of modular systems and sustainable construction materials as a possible solution. The permeable structure is built from a reusable cross-laminated timber panel system made of American tulipwood. MultiPly shows that modular architecture can provide not only efficient solutions but also enjoyable experiences: visitors are invited to run up and down staircases and across bridges exploring space and light. The installation focuses on a new, more sustainable way of building, bringing together a readily available carbon-negative material – American tulipwood – with modular design. MultiPly is carbon neutral indeed: all carbon emissions due to hardwood extraction and processing, together with fabrication and installation of the structure and all transport stages, are offset by the carbon stored in the finished structure and the energy generated by incineration of process wood waste. Would you like to discuss groundbreaking projects from the intersection of design, science, art, and business? Global Design Forum is a curated thought leadership programme, celebrating design and the minds shaping its future. Taking place throughout the London Design Festival at the Victoria & Albert Museum, the Forum features a unique mix of talks, debates, tours and workshops that reflect the most innovative thinking in the world of design today. Speakers from all corners of the global design community share new perspectives on designing for a shifting future. The projects discussed include SAP’s design-led technology project to eliminate single-use plastic; a vision for the future of urban mobility by China’s latest electric vehicle producer; a workshop on analog to digital problem solving with Moleskine; and groundbreaking applications for VR, AR and AI. From design values and housing solutions, to the power of disruption, you will be informed and inspired by innovators at the pinnacle of the industry. Known for her playful approach to typefaces, Kellenberger–White has designed a new series of chair-sculptures as one of Festival’s Landmark Project. 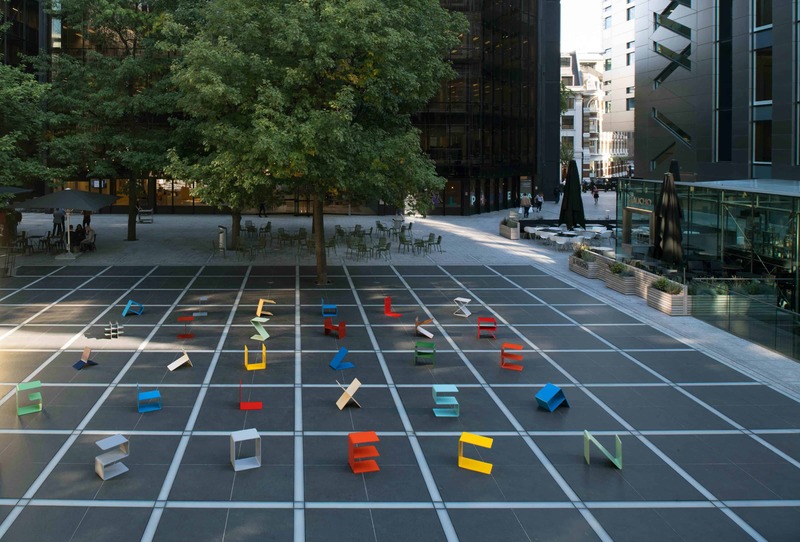 The installation comprises 26 bespoke colourful alphabet chairs popping up in Finsbury Avenue Square. 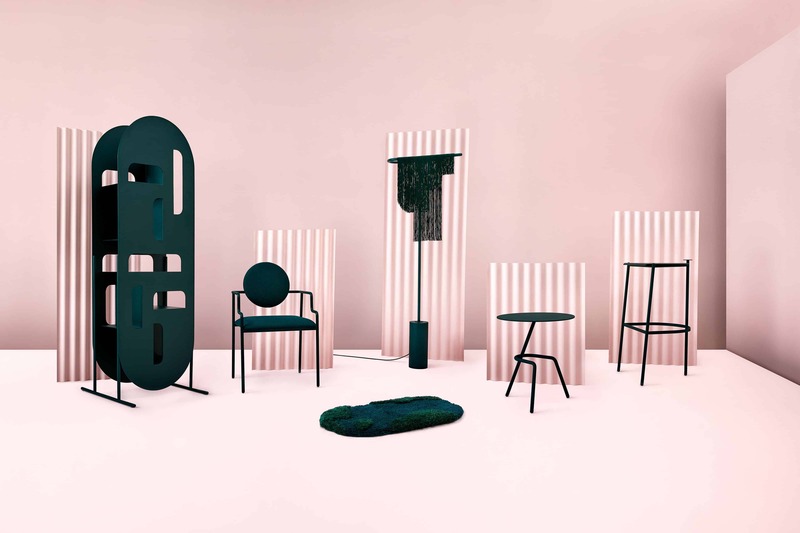 The result of an experiment in folding metal to create a typographic system, the chairs are informed by research into László Moholy-Nagy, Marianne Brandt and Wilhelm Wagenfeld. Other influences for this usable typeface include Bruno Munari’s photos ‘Seeking Comfort in an Uncomfortable Chair’ (1944), Max Bill and Hans Gugelot’s Ulm Stool (1955), as well as Bruce McLean’s ‘pose’ works of the 1970s. Each chair is in a different colour, chosen from a specialist paint manufacturer used for industrial metalwork – from International Orange (used for San Francisco’s Golden Gate Bridge) to Cornflower Blue (the colour of Middlesbrough’s Transporter Bridge). Alphabet is a truly participatory installation: audiences are encouraged to explore, interact, move, and make words with the letters. Located in the Old Truman Brewery, the creative heart of East London, the London Design Fair is a four-day industry event that brings together 550 exhibitors from 36 countries, including independent designers, established brands, international country pavilions, and exhibitions. This year the Fair casts a spotlight on the most loathed material: plastic, which is deemed to have had the biggest influence on design in the previous year. Beyond the Chipper is an exhibition showcasing four designers who are engaging with the material head on, challenging the damaging single-use culture and displaying alternative ways in which they work with plastic in the ambition to reduce or reverse its negative impact on the planet. Es Devlin, an award-winning artist and designer, is known for her innovative projection-mapped sculptures that fuse light, music and technology. 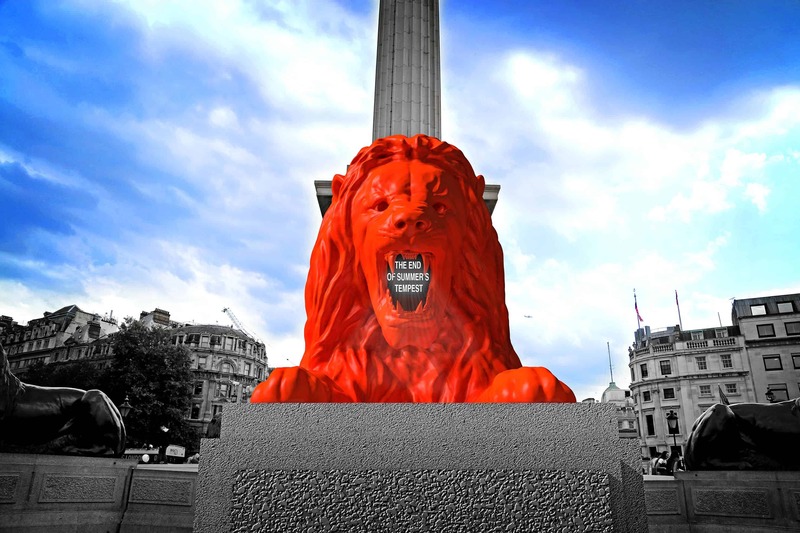 For London Design Festival, Devlin created Please Feed the Lions, an interactive sculpture set to take the Trafalgar Square by storm. Cast in 1867, the four monumental lions in Trafalgar Square have been sitting as silent British icons at the base of Nelson’s Column for the past 150 years. Overnight on Monday 17 September, a fifth fluorescent red lion joined the pride, facing northwards towards the National Gallery. The new lion is not silent: it roars. This lion roars poetry: and the words it roars are up to the public to choose. Everyone is invited to ‘feed the lion’: and this lion only eats words. By daylight, the ever-evolving collective poem is shown on LED embedded in the mouth of the new lion. 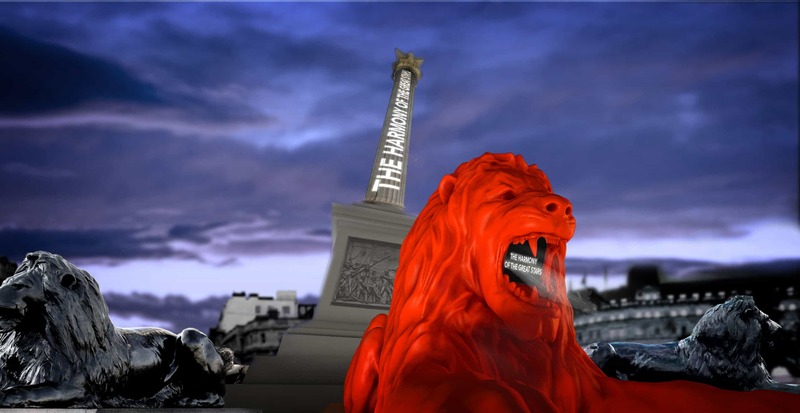 By night, the poem is projection-mapped over the lion and onto Nelson’s Column itself: a beacon of streaming text inviting others to join in and add their voice. Have you ever wondered why collaborations between olfaction and art are in focus now, and what the future of scent may hold? To help you discover a myriad inspiring ways smell can be experienced, Frieze Academy organises a symposium and day of experimentation that brings together extraordinary pioneers in the fields of art, scent and neuroscience. Making Scents: Art & the Olfactory provides an exciting opportunity to immerse yourself in this experimental and pioneering creative world. The symposium covers subjects as diverse as scent-mapping, scent-engineering, the ways our brains respond to scent, as well as aesthetic and philosophical ways that this sense is used. ‘I could compare my music to white light, which contains all colours. Only a prism can divide the colours and make them appear; this prism could be the spirit of the listener,’ says Arvo Pärt, the most performed contemporary composer in the world. Born in Estonia in 1935, Pärt has been creating music that represents a drive for freedom and invention, against the odds. For London Design Festival, Pärt collaborated with Arup to created Memory & Light LINK, a unique meeting of music and design, inspired by the composer’s famous words. This multi-sensory installation boasts an eye-catching transparent curved screen representing the prism from Pärt’s poetic description, alongside a luxurious viewing and listening bench where visitors can sit to experience the composer’s words and his music: Spiegel im Spiegel (Mirror in the Mirror), Für Alina, Silentium, and Da pacem Domine. The Tapestries Gallery at the V&A is a long, narrow room kept dark to preserve historical masterpieces. Rare tapestries from 1425 onwards, impressive examples of weaving with vivid colours, bold motifs and textured dimensions, are meticulously displayed in this atmospheric space. The content as well as the length of the room gave rise to the idea of a similarly long installation; around 25 metres from end to end. The Onion Farm by Henrik Vibskov, a Danish fashion designer, is a light, dynamic structure, that spins along the entire gallery. Industrial, colourful brushes and red textile ‘onions’ are seemingly hanging and growing from the structure. Together with the tapestries, the installation creates a strong tactile impression, but, in its materiality, contrast with the opulent exhibits and historical space. Fabric onions hanging in the dark form a structure simulating natural conditions in which they grow, while the brushes, with their large circles of spiny prickly hairs, create a vibrating membrane. 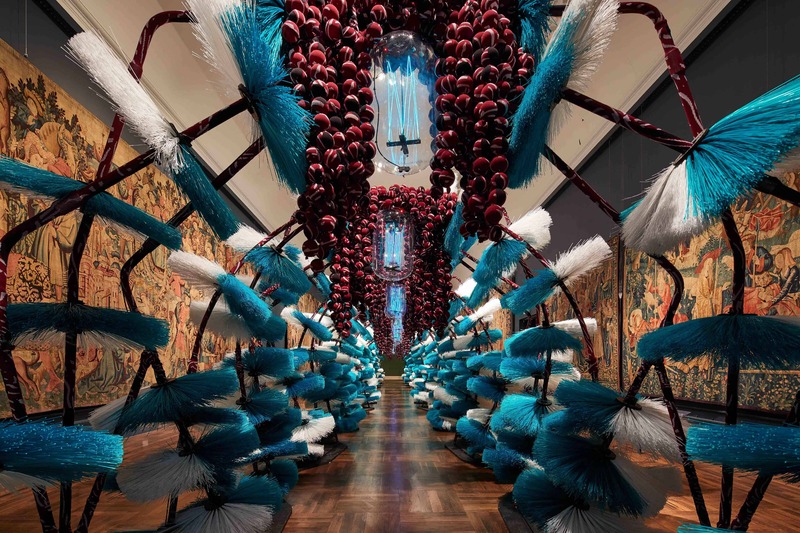 While the tapestries cannot be touched by the public, The Onion Farm is meant to be interactive; visitors are welcome to touch and move through it as they walk along the gallery. In some places the passage narrows and literally forces the visitor to be brushed as they move through.